Enjoying the incredible run of HEXUS competitions? Good, 'cause we're just getting warmed up. For our latest epic giveaway, we've teamed up with ASUS to give one lucky reader the chance to win an amazing limited edition ROG ARES II graphics card! This here card is currently retailing for £1,200 at Scan Computers and Overclockers UK, but we're giving you the opportunity to win it for free! And what a card it is. 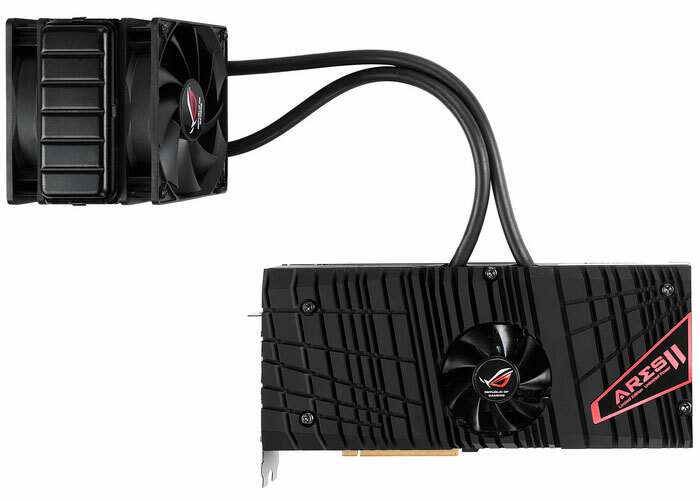 Named after Ares, the Greek God of War, ASUS's top-of-the-range juggernaut incorporates two overclocked and liquid-cooled AMD Radeon HD 7970 GHz Edition GPUs in a single package. ASUS reckons it's 13 per cent faster than a GeForce GTX 690, and seeing as only 1,000 ARES II cards will be produced, this certainly is a once-in-a-lifetime competition you don't want to miss.